Have a question for Duenshine Resort? Duenshine Resort invites you to experience classic inner calmness with discrete elegance while overlooking the magnificent Kwai Yai River. 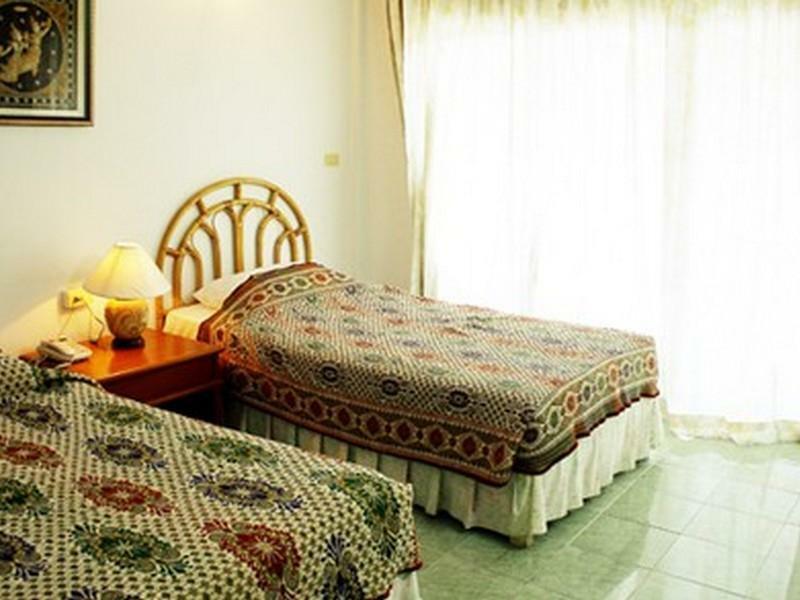 The property is a short distance from downtown Kanchanaburi - the entertainment hub comprising of numerous bars, restaurants, assorted nightlife and local attractions that attracts holidaymakers from the world over. 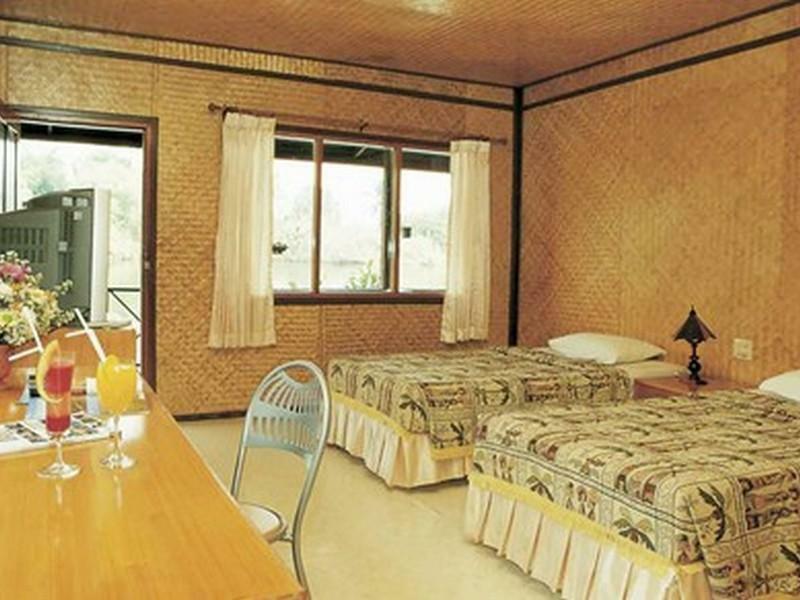 Boasting simple, clean, and well-kept bungalows, each bungalow is made with natural materials like wood, bamboo, and grass. 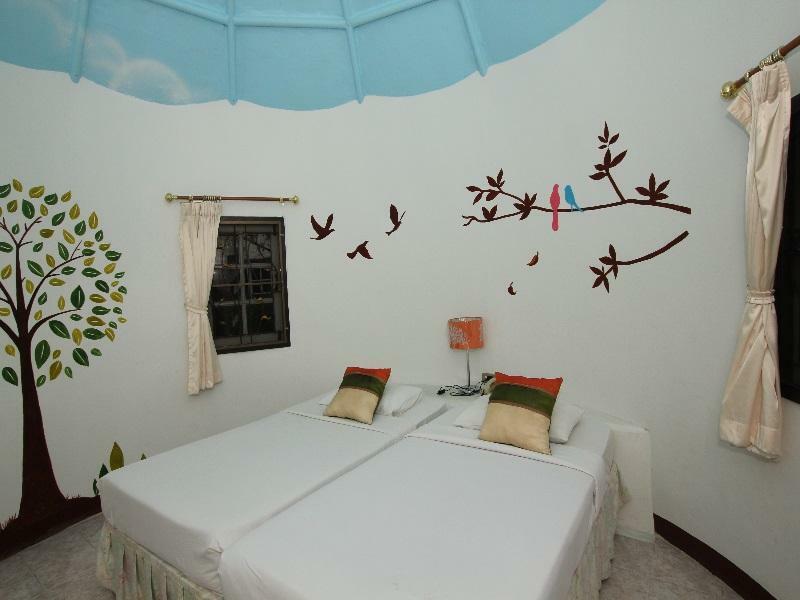 Rooms are fitted with the necessary amenities to provide guests with the utmost comfort and convenience. The hotel also features state-of-art meeting facilities and banquet halls that can accommodate conferences, parties, and weddings. This place was very nice for the price. 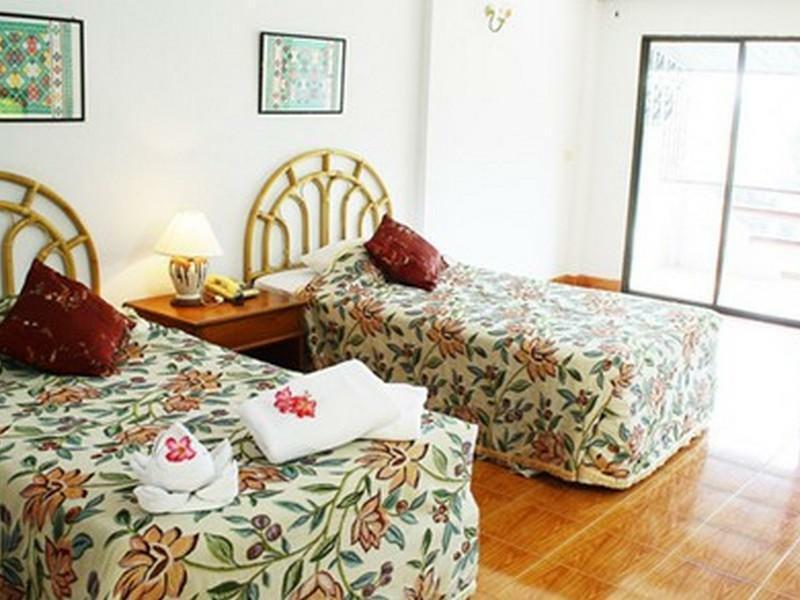 It's mostly suited to thai guests but the staff speak some English and are very friendly and accommodating. good hotel, but too far away from attractions, could have offered shuttle service, lovely views. Hotel stated city centre but not. Old hotel, clean, but need upgrading. No light in the shower and on bedside. Hose connection on shower broken, and plastic cower on air condition starter fell on the floor. when booking out in the morning it was no water in bathrooms. I had room on 2nd. floor next to river. Maybe my friends and I was unlucky with the rooms? Curious on staying on a raft, we chose this as it is pretty close to town. about 5-10 mins drive away and out of the city. As it is a raft and made out of wood, sound-proofing is poor and toilet is very old. For the experience and a short nights stay, i think it is okay. Service staff is great and make you feel at home. Overall, on experience and service. I think it is acceptable. duanshine resort was very good. the rooms were very nice and the service in the hotel was great. we enjoyed dinner on the river on the resorts boat on the river kwai . the food and the view were amazing! we will definately go back again and recommend it to friends. Great view of the river. The location was good, but the building was dated. It is 5 KM outside of the main town of Kanchanaburi, so a rental car makes the stay better. friendly staff, some can speak english. hotel seems a bit old but they keep the grounds clean. if you come with high expectations, this is not the place to go. rooms provide for basic needs...air con, tv with cable but no english channels or dvd player, hot water in bathroom. we stayed on a flotel. the view was at our backdoor. we sat and took in the serene view of the water. occasional long tail boat would go by, some selling chips and snacks right to your deck from the boat. hotel rents out party barges so provided some entertainment to see the barges go by with strobe lights and thais singing karaoke which is a must see/hear when in thailand. pool is okay, kept clean and maintained but a three star accommodation at best. restaurant food was good but typical plate was 150 baht ($5). if you opt for street food, price decreases to like 50 baht! Raft rooms are in a very bad condition - especillay the bathroom (filthy). Breakfast menu is very simple. At dinner they served a raw fish, after 1.5 hour waiting. The floating raft hotel rooms were a unique experience. 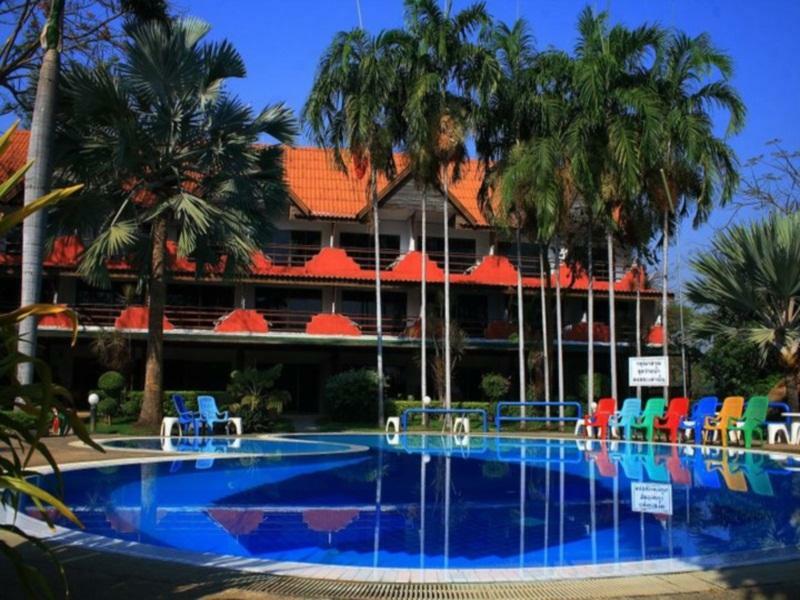 The Duenshine Resort was a great experience and a fun way to enjoy the River Kwai. The hotel is a few miles outside of the "down town" river section of Kanchanaburi, but it was only about a 10 minute drive to town. The Raft Type rooms were right on the river and it was great to wake up to the sounds and sights of river life- fish jumping, long tail boats, birds, stars at night etc. The hotel had a nice staff, pretty good food in the restaurant, a nice pool riverside and a nice quiet setting, except on weekends when there might be a wedding or a group of karaoke partiers from Bangkok that would take one of the floating restaurants/bars by tow up and down the river. Tours can be booked to see the River Kwai, Death Railroad and Erawan and Sai Yok Waterfall. Very nice overall. The location need to have transpotation to go out, but the Hotel is clean even its old. This resort is out of town so it you are want quiet relaxation this is the place. To get to the attractions in town you need to call for a tuk-tuk or taxi. We found the rooms to be clean, but dated. The bungalows are like sometime out of the Hobbit. The river view rooms in the main hotel have a great view of the river, but at night you hear the boats on the river. The pool is great and the grounds are well maintained. Stay was uneventful apart from a blood stained spare pillow in one of our two rooms. Had a lovely stay here the service was good and the food was tasty and plenty, the rooms where really comfortalbe and clean was what you want after coming from the busy city, all staff where cheerful and helpful.